William "Bill" Joseph Werchay Jr.
William “Bill” Joseph Werschay Jr. passed on Saturday, August 25, 2018, at Diamond Willow Assisted Living. Bill was born May 23, 1931 in Duluth, MN to Martha (Nowakowski) and William Werschay. He graduated from Cathedral High School. After high school, he joined the Army and was stationed in Germany and was honorably discharged. Bill returned to Duluth and began working at Zenith Machine, the DM&IR Railroad and St. Louis County as a Jailer until he became Deputy Sheriff and retired in November 1990. In November 1966, Bill married Joan Strobl. After his retirement, they traveled to Biloxi, Mississippi in the winter and made many friends down there. 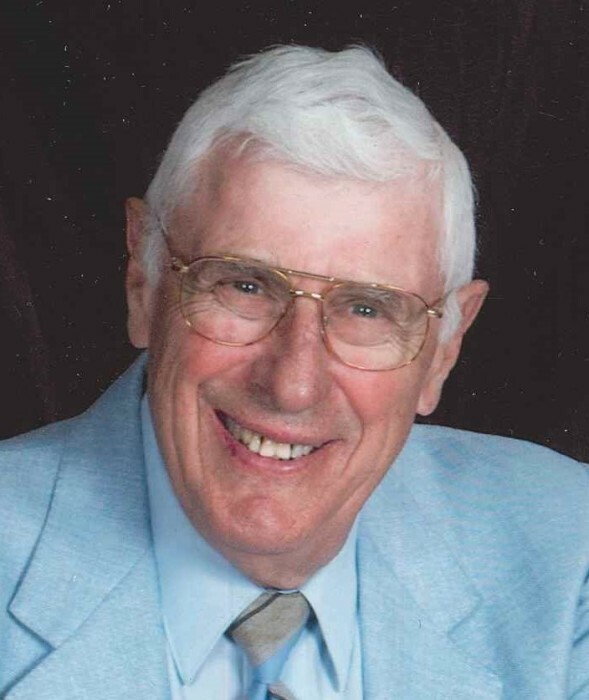 Bill enjoyed bowling and was an avid golfer at Enger Park Golf Course. Bill and Joan were devoted UMD Bulldog hockey fans and traveled to Canada often to participate in the Friendship Games. Bill is preceded in death by his parents and his wife, Joan in 2002. Survivors include his daughter, Vickie (Rick) Carter of Duluth; grandsons, Todd and Casey (Amy) Carter, of Duluth, his brother, Robert (Pat) Werschay of St. Cloud; his sister, Mary (Tom) Payton of Madison, WI; along with several nieces, nephews and cousins. Memorials in lieu of flowers can be made to Animal Allies in Bill’s name. Visitation 10 a.m. until the 11 a.m. funeral service Saturday, September 15, at Williams-Boettcher Funeral Home, 3208 West 3rd St. Rev Fr Richard Kunst officiating. Burial at Polish Catholic Cemetery.